Over the course of twelve unique sessions, you’ll be joined by the most influential team of personal and professional development experts anywhere in the world. 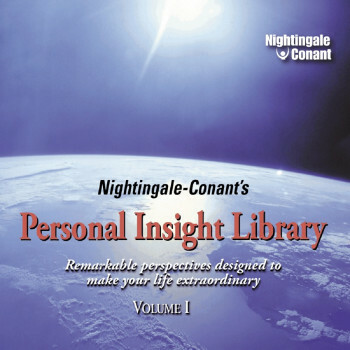 Featuring authors like Earl Nightingale, Zig Ziglar, Denis Waitley, Anthony Robbins, Ken Blanchard, Brian Tracy, Robert Allen, Joe Vitale, and more. Experience the invaluable wisdom and knowledge of the masters. You will be glad you did! How do the most powerful people get to the top? Those who have achieved greatness know something you may not. We all know success can be accomplished with years of dedication and hard work. But the most accomplished achievers also know there's a short cut. A clear path that the richest, most athletic, and most successful know well. And it begins with the Essential 8 disciplines. Once you have these disciplines under your belt, you set yourself up to accomplish just about anything you want. The 50 great minds in our Personal Insight Library will help you master the following "Essential 8" disciplines: Confidence, Passion, Discipline, Teamwork, Time Management, Character, Communication, and Giving. These eight disciplines build on one another to help you form a complete life that's nothing short of extraordinary. Because once you focus on these disciplines, your goals of wealth, health, leadership, and family are achieved ... one after another. You'll learn directly from the masters in personal development. Names you know such as Jack Canfield, Harvey MacKay, Mark Victor Hansen. Brian Tracy, Zig Ziglar, David Bach, and dozens more! From the first CD to the twelfth, these 50 legends hold nothing back. And once you apply the disciplines you learn throughout your Personal Insight Library to your everyday actions and reactions ... that's when you begin to see immediate rewards in each and every area of your life.